After my last 'For Him' gift guide went down so well with you all I'm so glad to be sharing my 'For Her' gift guide today! 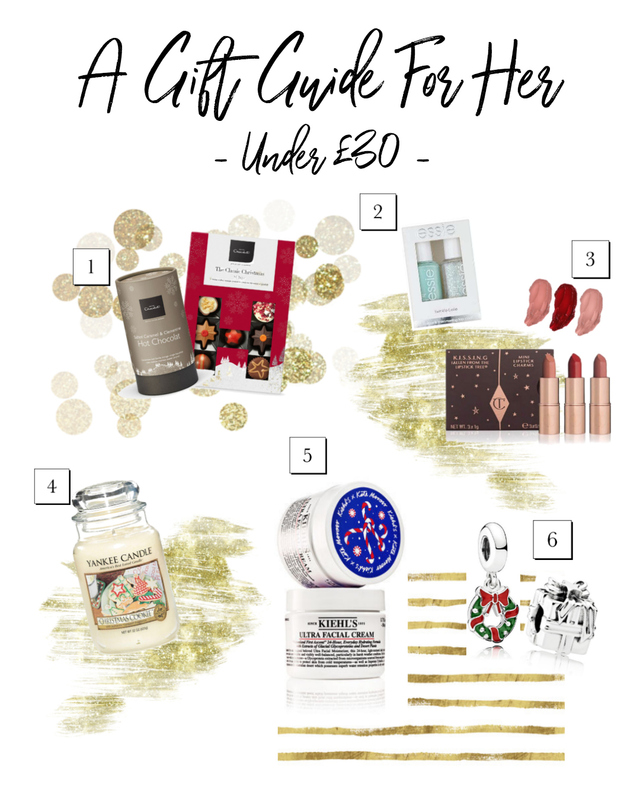 Again, everything is under £30 and I've found some super cute stocking fillers and presents perfect for the closest girls in your life! Hotel Chocolat is one of my first stops when it comes to buying special chocolate treats for someone as they have such a wide range of flavours and products, and everything tastes amazing! If the girl you're buying for has a sweet tooth then the chocolate tray or salted caramel & clementine hot chocolate would be perfect. You can't go wrong with sparkly nails this time of year and Essie's Twinkle-Belle duo is so cute! I love the white sparkly nail topper, it reminds me of snowflakes! Plus, I think the mint green colour could also be perfect for Spring. If you follow my blog and social media then you will no doubt know all about my undying love for Charlotte Tilbury lipsticks. The formula is just on another level and I'd love to find this set of mini's underneath the tree on Christmas day. One thing that instantly makes a room more cosy and festive is a Christmas candle, and this Christmas Cookie scented one from Yankee Candle sounds lovely. You also know that they'll get a lot of use out of it which is always a good thing! If you're wanting a luxurious present that doesn't break the bank then this is for you. Kiehl's are known for their Ultra Facial Cream and it's on my wish list this year! I think with skincare you really can't go wrong and I'm sure any girl would love this treat to perk up their skin in this cold weather. I feel like anything from Pandora is a special present. My favourite piece of jewellery is probably my rose gold princess ring by them, and the best thing is that their prices range from affordable to quite luxury, so whatever your budget, you'll most likely find something amazing! These two charms that I've picked out both cost just £25 each, so if you know the girl you're buying for has a pandora bracelet, I'm sure one of these will go down an absolute treat! So there are my top picks for girly christmas gifts this year. Honestly, I'd be so happy with any of these as a gift for Christmas, so I hope this helped you! 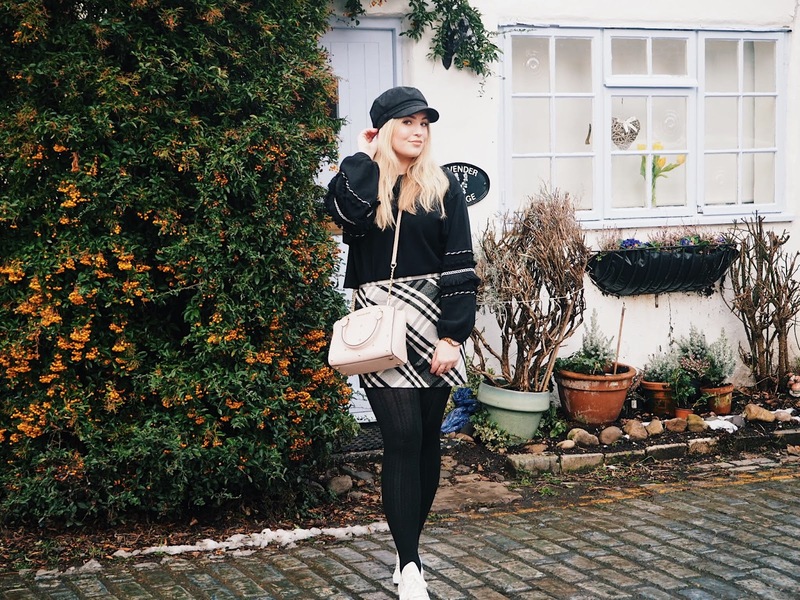 Let me know if this gift guide gave you some inspo in the comments below and make sure you keep up to date with my 12 Days of Christmas posts as I also have a Luxury gift guide lined up!